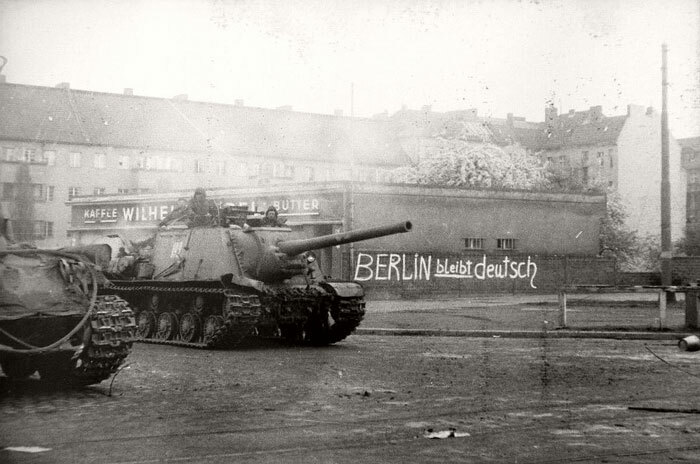 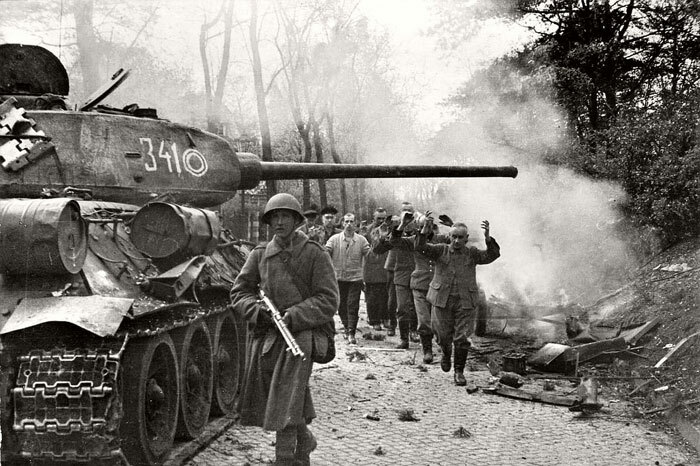 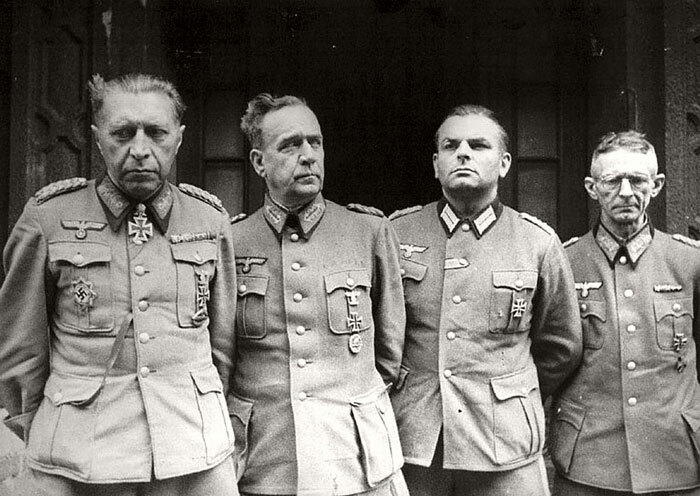 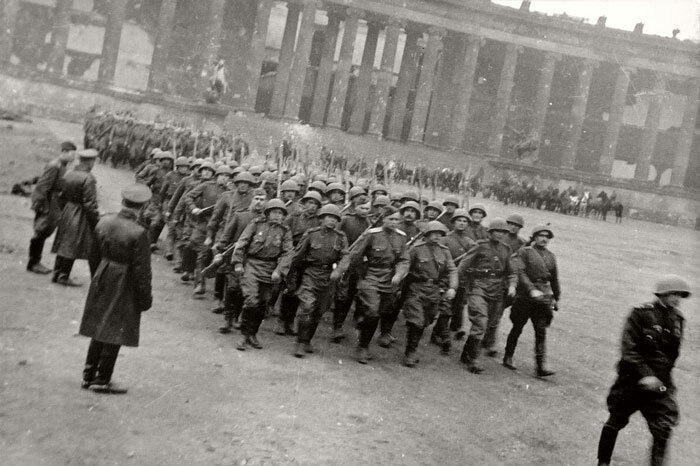 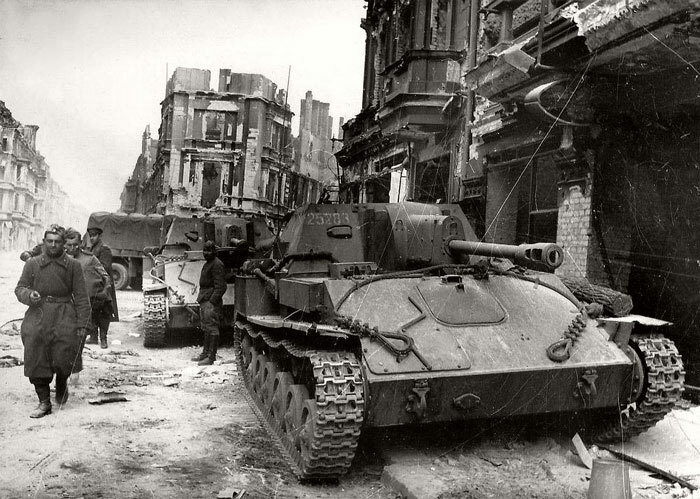 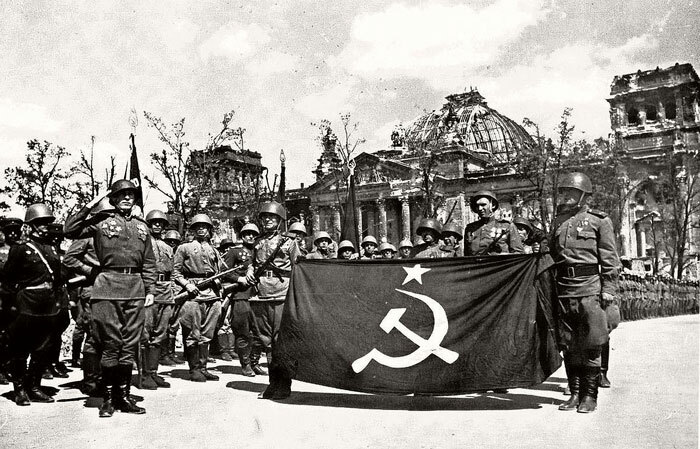 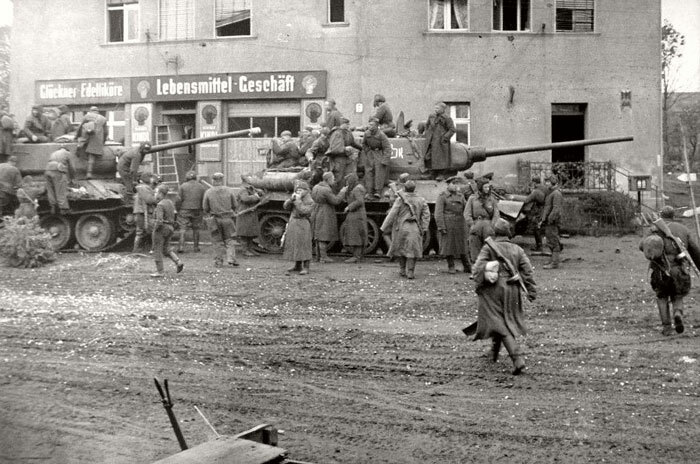 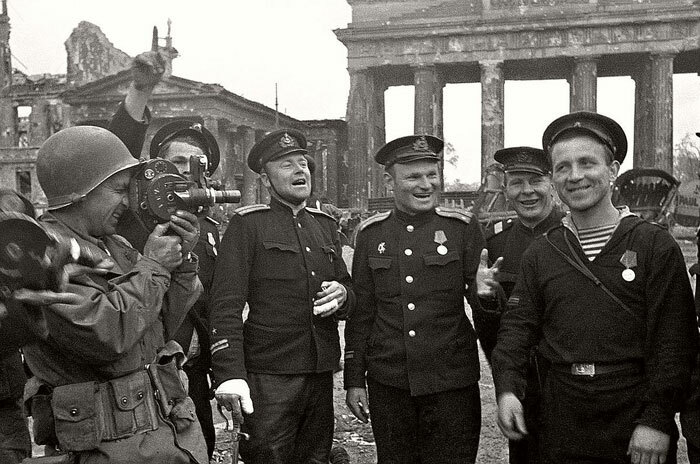 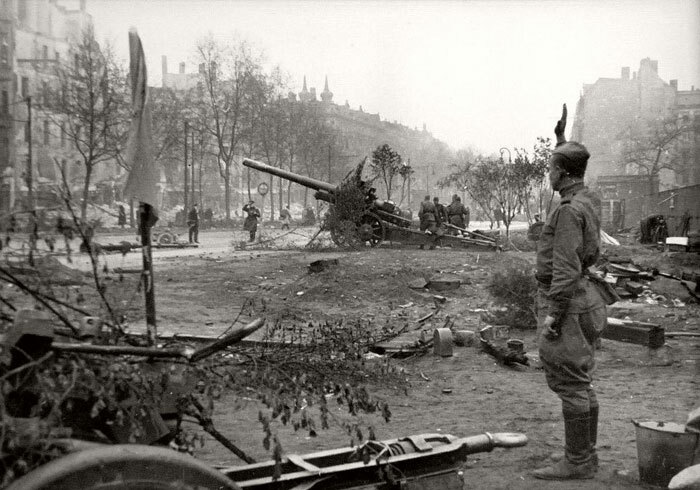 In the spring of 1945, the Russians and the German troops fought savagely for control of Berlin, the German capital. 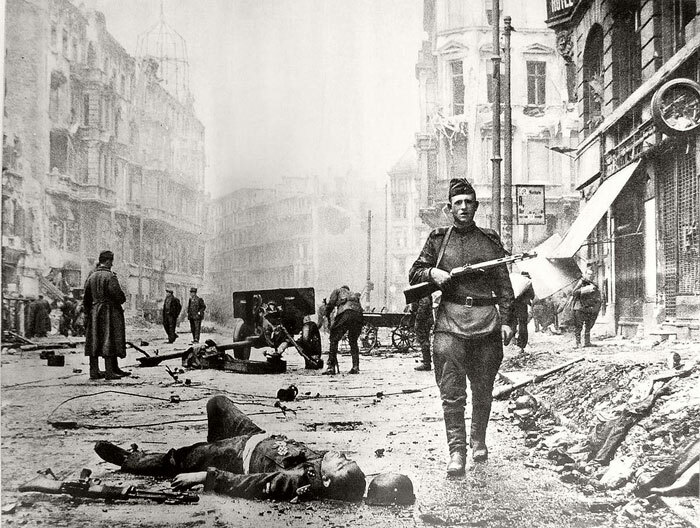 Street by street, bloody battles were fought relentlessly. 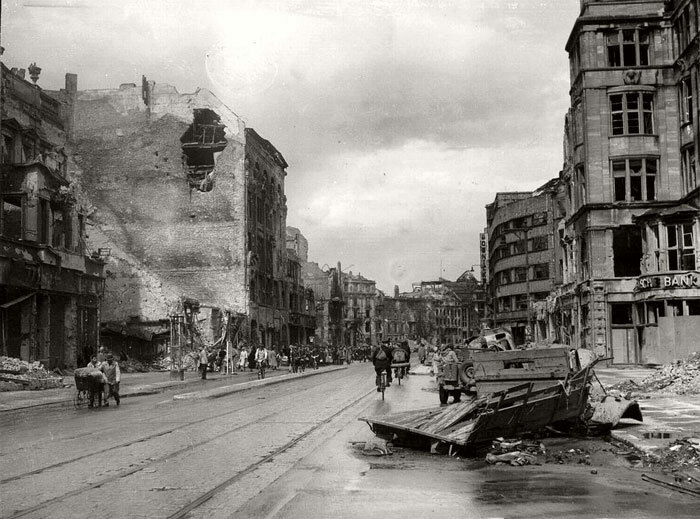 After the War, Berlin looked like a post-apocalyptic world. 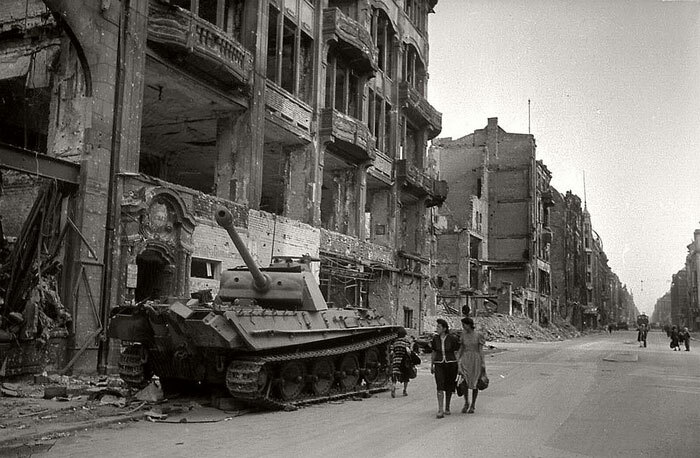 One of the most beautiful and most modern cities of Europe was left a wasteland — the skeletons of a destroyed city. 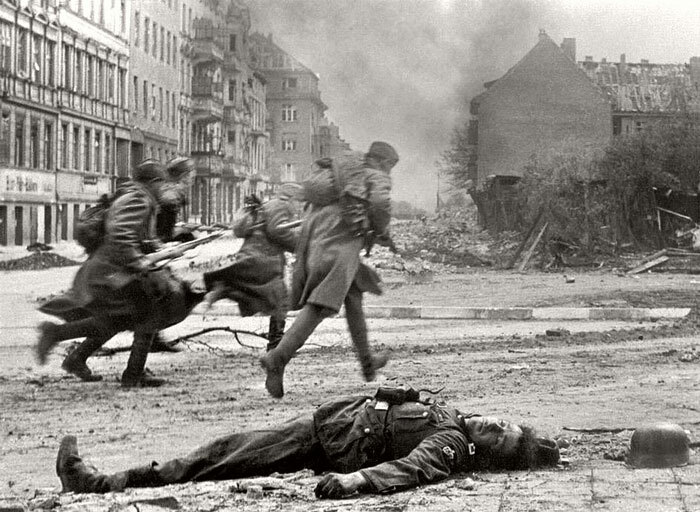 The irreplaceable architectural gems of the Schlüter, Knobelsdorf, Schadow and Schinkel were leveled to the ground. 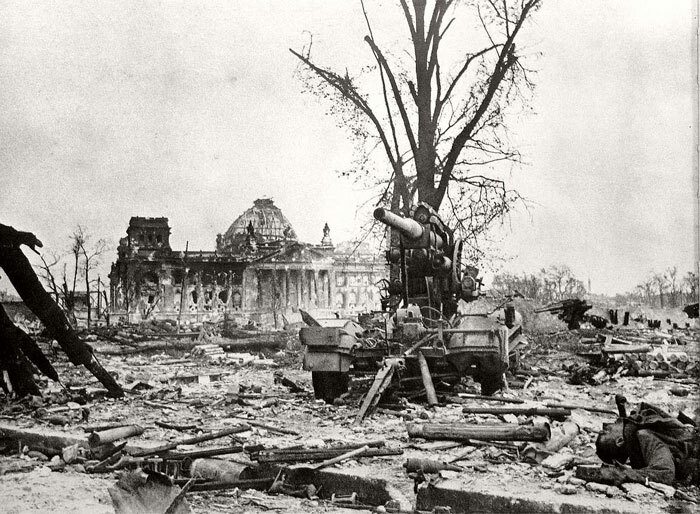 Palaces, museums, churches, monuments and cultural sites destroyed by powerful bombs. 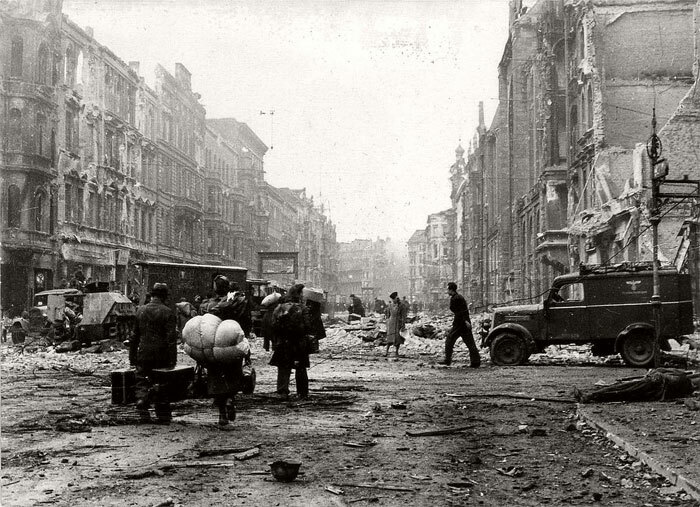 British bombers alone dropped 45,517 tons of bombs. 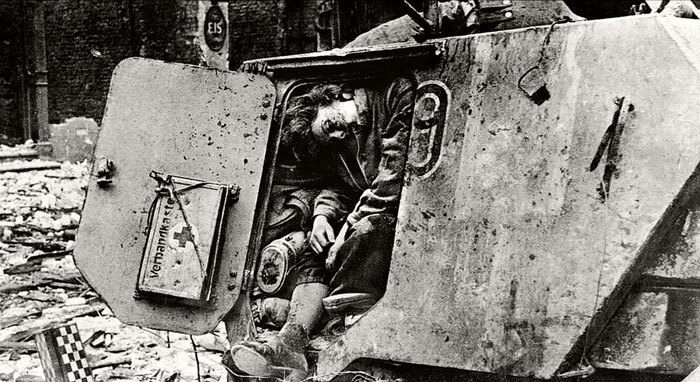 The Americans dropped 23,000 tons. 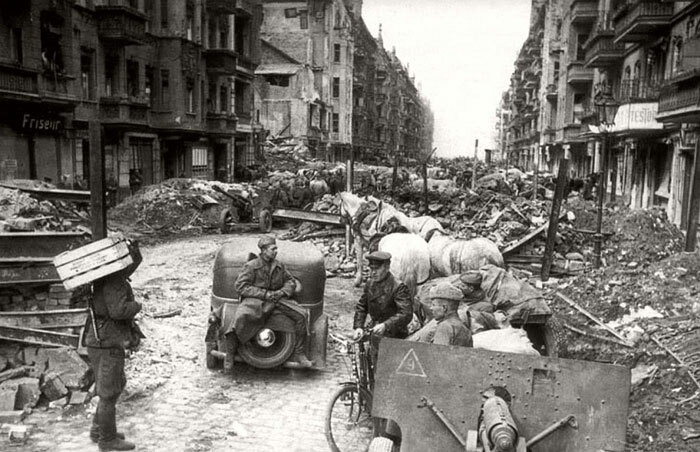 Around 2.8 million of the city’s original population of 4.5 million still lived in the city. 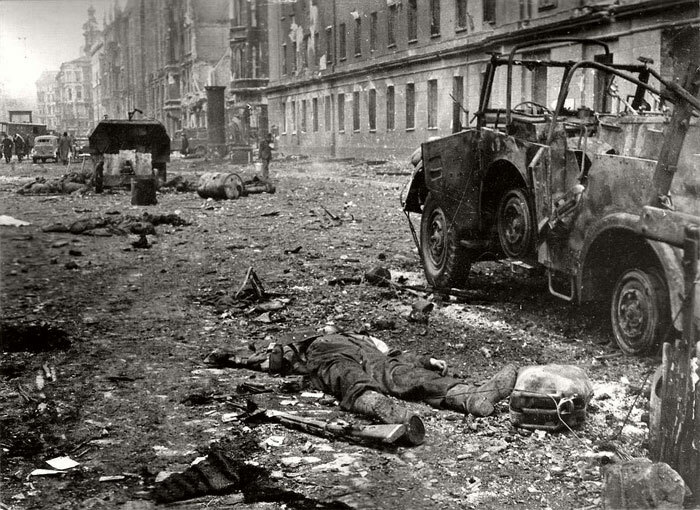 The estimates of the total number of dead in Berlin from air raids range from 20,000 to 50,000. 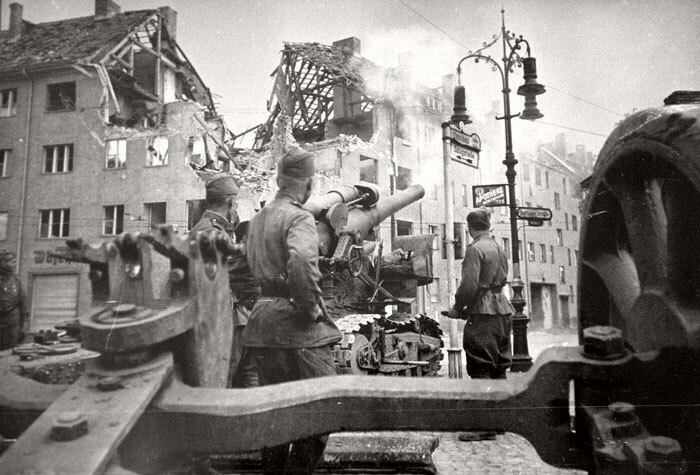 When the Soviets arrived in Berlin, they saw a city devastated by the air raids and street fighting. 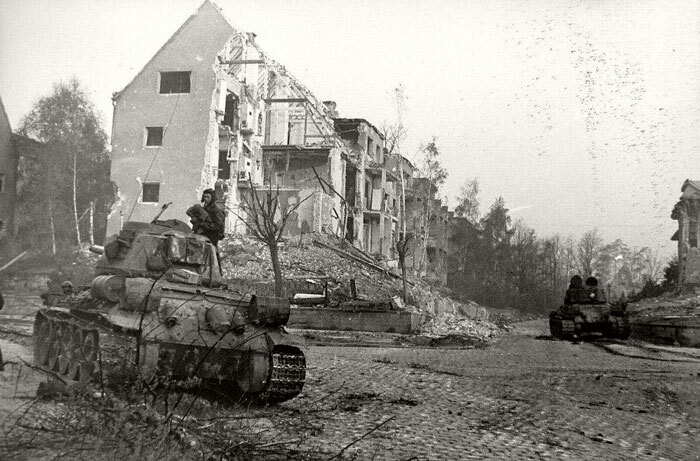 It was described as a Geisterstadt (“ghost town”). 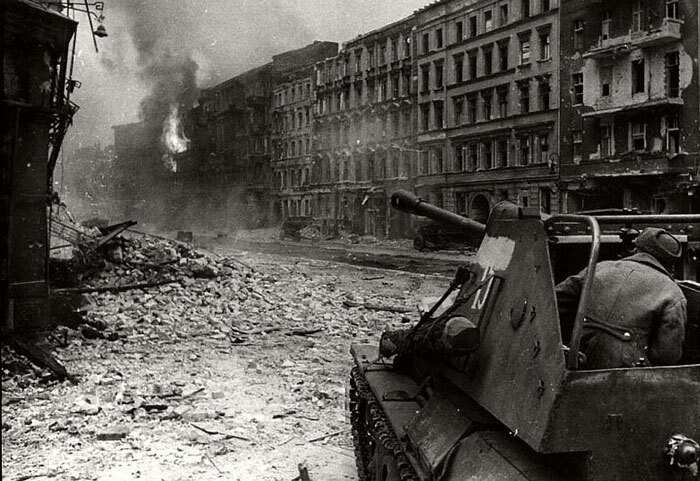 According to Soviet estimations, the clean-up operation would last 12 years.